[Updated 3/24/15, 5:17 pm. See below.] A business that connects hunters with landowners and a company that helps consumers establish a credit history are among the latest participants in Techstars’ accelerator in Austin, TX. Techstars posted the names of the 10 companies yesterday that will participate in its three-month intensive boot camp from now through June, culminating in demo day presentations on June 17. 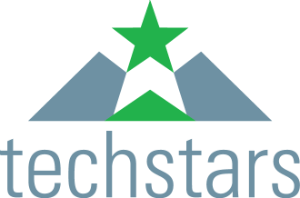 Businesses that are selected for the Techstars accelerator program, which seeks to give entrepreneurs access to expert business coaching and potential investors, receive $18,000 in seed funding and are offered a $100,000 convertible piece of debt. That is in exchange for as much as 10 percent equity in the company if the note converts, though the accelerator is offering the option of possibly reducing that equity stake. Founded in Boulder, CO, in 2006, the accelerator operates programs in nine cities. In January, Berlin became the newest addition. The Austin program started in 2013. —FantasyHub, based in Louisville, KY, allows people to join and create daily fantasy tournaments that give proceeds to charity. The people playing in the fantasy games can win cash or other prizes, too. —HuntingLocator.com is a hunting marketplace that allows land owners to list their parcels for hunters to rent out. The company, based in Austin, offers both free and premium paid services. —OneModel is another analytics company, focused on helping businesses use and understand data related to human resources, finance, customer relationships, and marketing. It’s already based in Austin. —Pushmote, another Austin-based company, makes cloud-based software that helps other businesses manage how smartphones interact with iBeacons, which are devices that can detect and send messages to nearby smartphones. —Red Fox Clan, also based in Austin, is a marketing platform that aims to help software developers promote and improve each other’s games. It currently has a few free instructional videos posted on its website. —Self Lender, based in Denver, makes small loans to people who are looking to build a credit history. Those people pay back the loans over a period of typically anywhere from three to 12 months, and Self Lender charges a $3 fee per month. It reports the timely payments to credit bureaus. —New York-based StyleSage analyzes and monitors pricing and social data to provide fashion retailers and brands with information about their businesses, such as when it makes sense to discount items or what the best product mix might be. —Wonders is a “visual discovery platform for apparel from brand-generated content,” according to Techstars. The company’s website provides no further description. Wonders is currently based in Brooklyn.